We believe it is important that we help make every effort to keep your pet within the family. 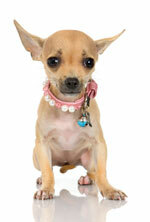 Deciding to surrender your pet can be very emotional and difficult for both you and your pet. Discuss the problem with your vet. Your vet may be able to suggest training ideas/methods or possible medications to eliminate the problem. Spaying or neutering may have a dramatic impact on a pet’s behavior. Talk to your veterinarian to see if this is an option you may want to try before surrendering your animal. There are many helpful hints on line. The internet can be a great source of information in a wide range of subject matter. Look at several sites before deciding which method of training will fit your life and concerns. Not every method works the first time so give it a chance. Try different methods. There is a lot of information out there. Consult with an animal behaviorist, dog trainer or obedience school. Many of these classes and consultations are very inexpensive and can change your pet’s behavior dramatically. Finding housing that allows pets can sometimes be frustrating and costly. Try searching in local papers, online, or check with a local realtor. Asking for suggestions from a realtor does not mean you have to sign a contract. Most of these people live in the community and can be wonderful helpful neighbors. Plan ahead and begin looking for housing that accepts pets as soon as you know you will be moving. Taking your time allows you more of a chance to consider your options. Your pet will thank you and you will find how easy it can be to move with your animal. When all else has been considered and you believe that surrendering your animal is the best option for you and your pet, we will work with you! The Bakersfield SPCA is a limited admission shelter. You need to call us during normal business hours to ensure we have the space and that your animal is a candidate for re-homing. The fee to surrender your animal is $100. The Bakersfield SPCA does not euthanize animals for space or time reasons, but every animal must pass a behavioral and medical evaluation in order to be put up for adoption. Every reasonable effort will be made to find a suitable home or placement for each animal. Animals with medical or behavioral problems that are treatable with reasonable effort and resources will receive necessary care to improve their adoptability and place them in appropriate homes. Animals deemed unadoptable are humanely euthanized. When you surrender your animal, we ask you to fill out a form to provide as much information as possible to assist us in re-homing your pet. We also ask that you bring any medical records you may have. Please have this form completed when you bring your pet to us. Click here to download the Owner Surrender Form for Cats or Dogs. Know that we do not accept dangerous animals. Please contact your local animal control agency for assistance. Please call for an appointment: (661) 323-8353, ext. 2 Monday through Saturday between 9:30 a.m. and 4:30 p.m.
Be prepared to pay the required surrender fee. On average, it costs us $25 to care for just one animal for one day. The nominal surrender fee we require will help us to care for your pet. The Bakersfield SPCA is a private, independent nonprofit organization relying solely on donations and grants to fund our operations. We do not receive any local, state or federal government funding, nor are we a subsidiary of any national animal welfare organization.